Natalie Harkin’s first collection of poetry, Dirty Words, illustrates the effects of words down the generations of white Australia’s history. Harkin is a Narungga writer from South Australia and this suite of poems, what Harkin calls ‘an A to Z index of poetry’, begins with ‘Apology’ and continues through ‘Genocide’, ‘Political Correctness’, ‘Xenophobia’ finally completing the cycle with ‘Zero Tolerance’. Describing the work as a short survey through Australia’s recent political and racial history though, while doing justice to the overarching structure of the collection, undermines the real power of Harkin’s work. Writing into the space between popular assumptions and lived experience Harkin is interested in examining the real and the remembered against the commonly held conclusion. Overlaid with statements by politicians, comments on contemporary Australian society, and texts from the white documentation of this country, Harkin makes obvious the effect of words on lives and histories, both past and future. Harkin describes how an Aunty would undertake the ‘much work to be done’ as her ‘sing-chant-rage’ and Peter Minter, in his introduction, picks up on this phrase, expanding the triptych to encompass the whole work. Dirty Words is a ‘sing-chant-rage’ but it is also a lament and a call to action. In particular, the poems form a snapshot of the years from 1996 through to 2014, with former Prime Minister’s John Howard, Kevin Rudd and Tony Abbott, the Intervention, land rights and sovereignty, and the Stolen Generations, all appearing within the text. Many of the poems draw on archival texts as far ranging as government legislation, politicians speeches, royal commission recommendations, academic writing, news reports, magazines and personal letters to contextualise and expose racist attitudes towards Aboriginal people in this country, attitudes that are still present in government policy for, and community expectations of, Aboriginal people generally. That line ‘I got her from a camp’, and the (white) space around it, catches me every time I read this work, reminding me of the everyday power that has been exerted by individuals throughout white Australia’s history. It is also a phrase that, for me as a white woman of this land, holds the mirror clear and still. 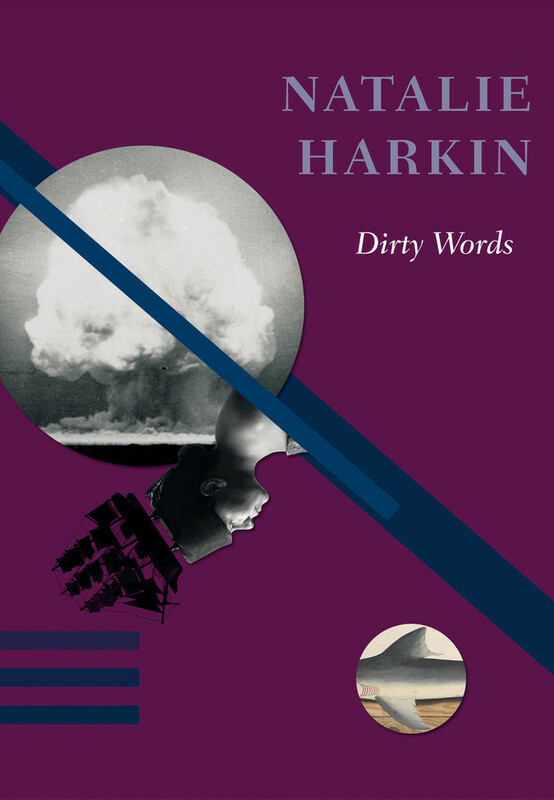 Harkin’s work is without irony and can be brutal in her demand that the reader recognise herself on the page. The image Harkin creates here also draws the reader to that powerful image of the African American athletes on the winners podium at the 1968 Olympic Games, fists raised with pride and so they could not be ignored. Similarly, Harkin’s embedding of these women in her text, and these passages are the foundation of the work, means that their lives, their energy, their purpose can not be ignored or dissembled or dismissed. This work can be opened at any page and the reader will be met with a layered, complex, re-telling of contemporary Australia. Harkin’s words carry weight and demand the reader recognise their relationship to the map of Australia that Harkin writes. Dirty Words is shimmering rage, weary heartbrokenness and careful optimism and it stands tall and unwavering, a landmark in Australian publishing. PIP NEWLING’s first book was Knockabout Girl: A Memoir (HCA) and her creative nonfiction writing has been published in Meanjin, Kill Your Darlings and the Fish Anthology. She is currently writing about local swimming pools, and has a Doctor of Creative Arts (Creative Writing) from Wollongong University in which she wrote about place, race and community and wrote a memoir of her hometown, Taree in NSW.